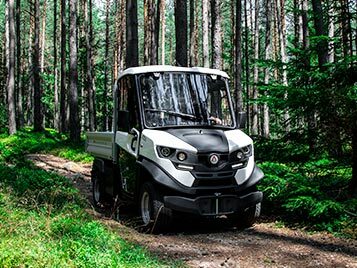 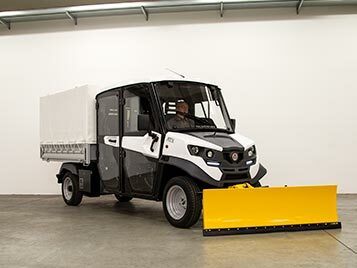 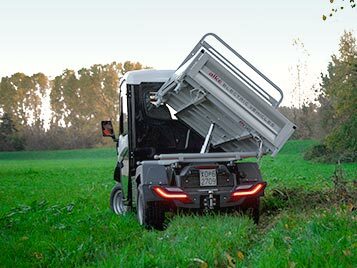 Alkè ATX electric vehicles with rear-wheel drive have performances comparable to equivalent 4WD diesel vehicles, thanks to their technical characteristics and construction quality. 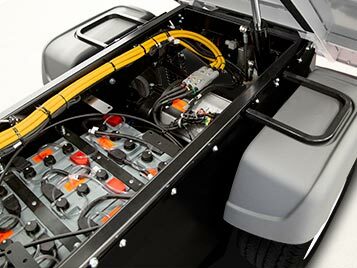 ATX electric vehicles range have very powerful motor with 14 kW peak. 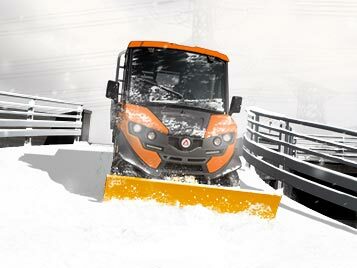 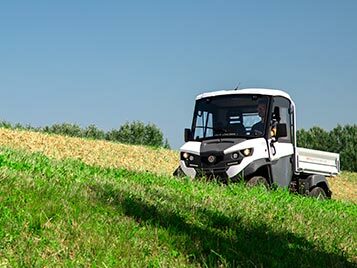 These vehicles have high torque and gradual power distribution motor and control electronics, electric motors provide maximum torque immediately and this ensures excellent starting even in the most demanding work conditions. 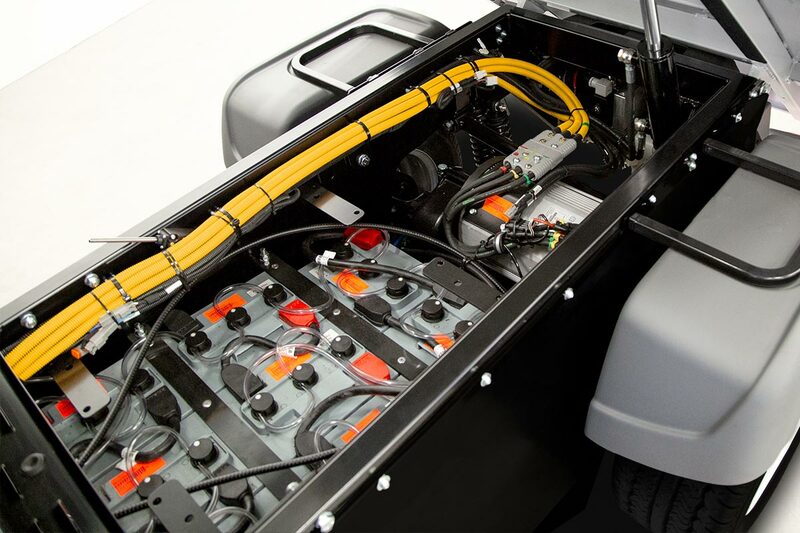 ATX off-road electric vehicles have a MacPherson suspension system at the front. 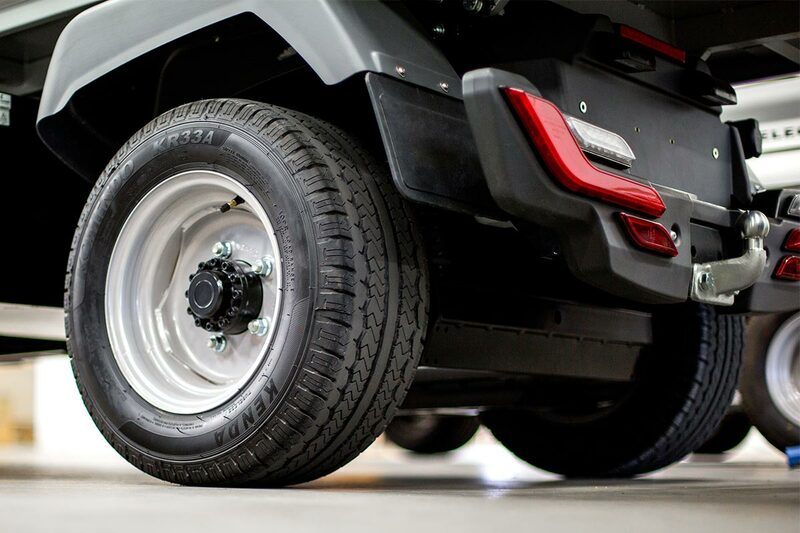 A DeDion bridge drive axle - with stabilizer bar - is installed at the rear, ensuring perfect road-holding and making the driving softer. 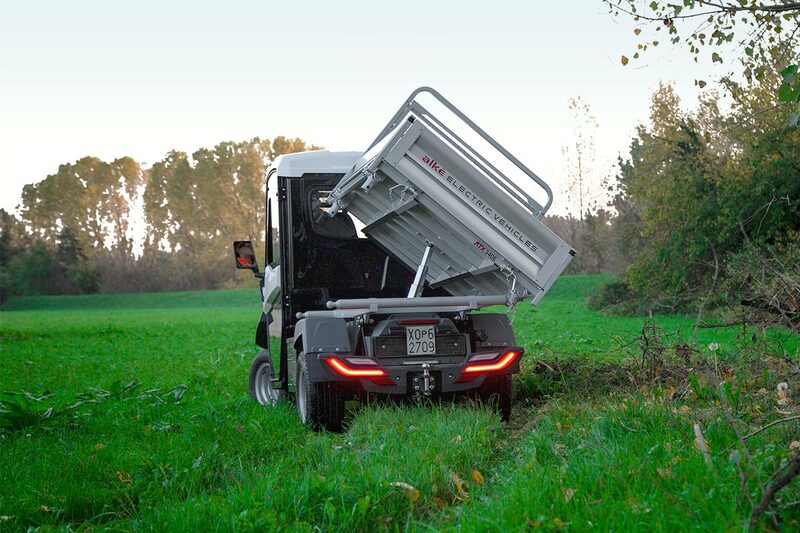 ATX zero emission trucks have a very low centre of gravity located towards the rear. 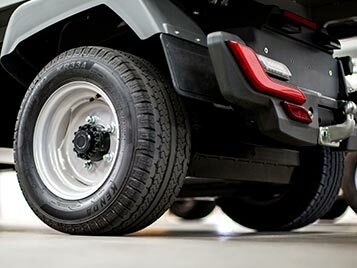 When a vehicle is fully loaded, most of the weight is taken by the rear wheels. 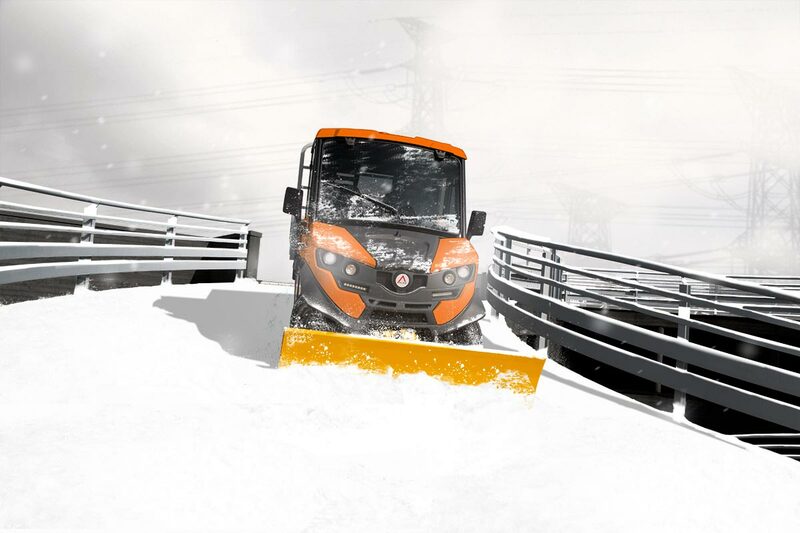 ATX have a traction comparable to a four-wheel drive thanks to the geometry of the suspension and an optimal weight distribution that makes driving very dynamic and intuitive. 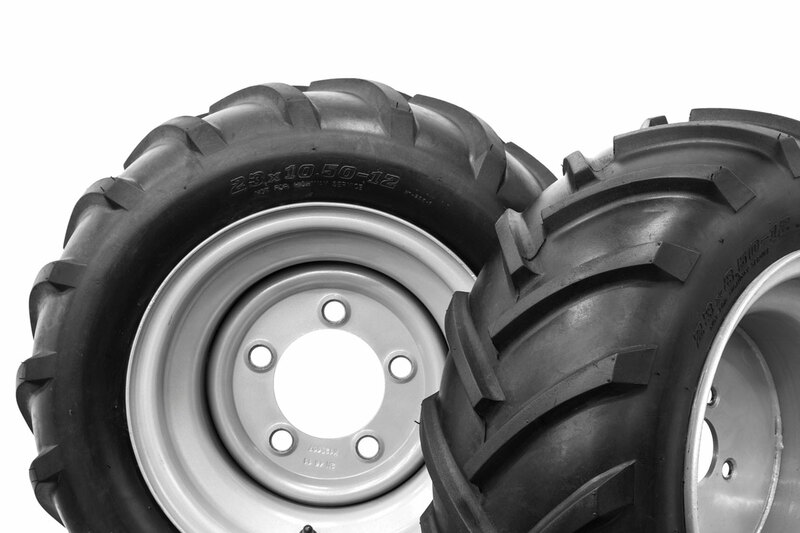 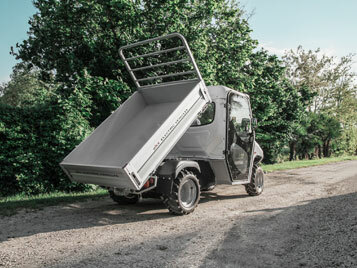 Alke' electric off-road vehicles can be fitted with turf tyres or other tyres specially-designed for off-road vehicles (tractor type) that ensure maximum road-holding on unfinished tracks with snow, ice or very fine sand. 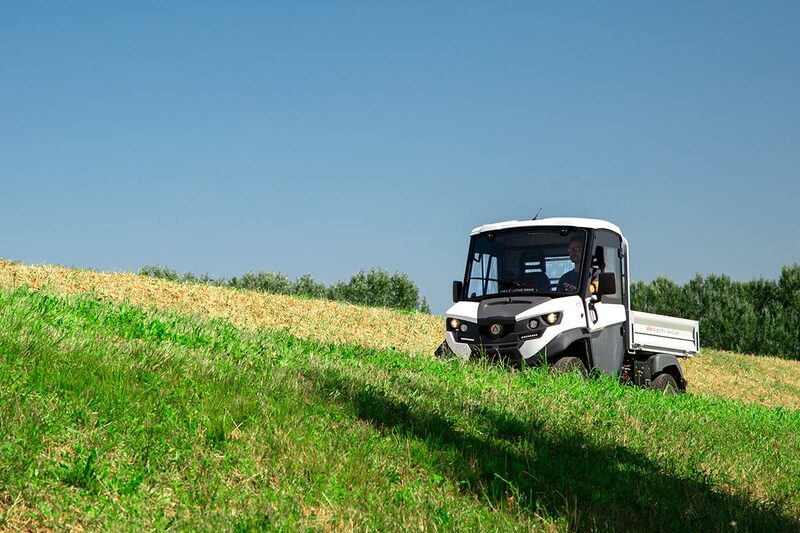 Such terrain - usually the realm of 4x4 internal combustion vehicles - cannot be tackled by any other conventional two-wheel drive vehicle. 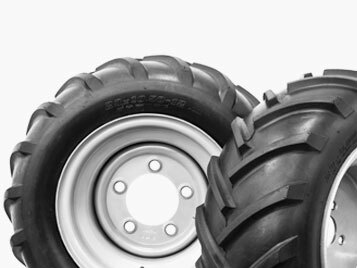 In addition, the ATX can also set low profile tyres that lower the centroid and increase road holding.